On 5th April, seven water companies will be introducing hosepipe bans in order to try and deal with the water shortages currently prevalent in some areas of the country. Online Turf shares many of the water shortage concerns with its customers, but has some news that will please anyone looking to lay a new lawn for the summer. These are, of course, only advisory notes, and water firms do not have to honour them. However, Tim Mudge, Chief Executive of Turfgrass Growers Association (TGA) points out that: “Private consumers also need to know that they can continue to lay new lawns and establish them”. 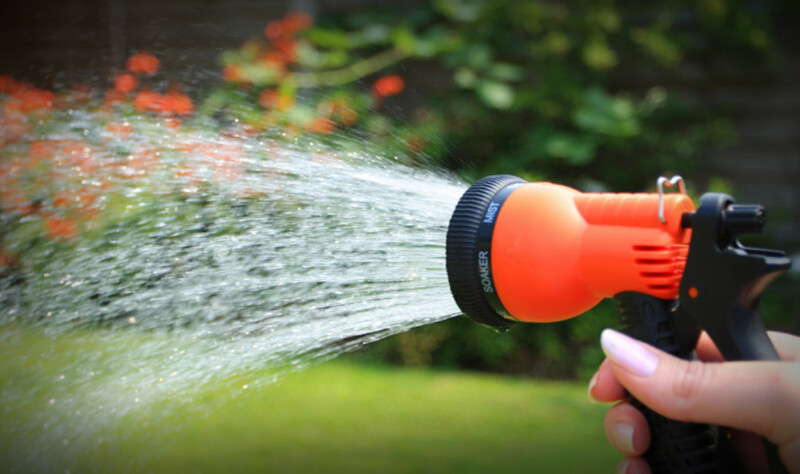 South East Water has agreed to provide an exemption for any customers with newly laid lawns to be able to water them for the first 28 days after laying the turf. Other companies have currently not issued a blanket statement, but if there is any doubt, the best advice is to telephone your water provider and ask if the exemption is in place. Online Turf is based in Lancashire, which currently has no water restrictions. Although the company works hard to ensure responsible water use on its farm areas, this means that the turf you receive will be well looked after, and will have the lush green appearance the customer would expect, as well as having some residual damp within each roll which helps ensure safe delivery for the product. It is also important to note that many areas are not subject to the hosepipe ban. Whilst it’s important for everyone to pull together and try to preserve water for the good of the environment, where water is plentiful there is no reason not to water a newly laid lawn - unless of course it’s raining! “It is vital that our customers know that many areas do not have hosepipe bans in place,” said Online Turf Managing Director Ian Mercer. “As such, if they want to buy new turf this summer there should be no disincentive for this. ​“It is vital that our customers know that many areas do not have hosepipe bans in place,” said Online Turf Managing Director Ian Mercer. The TGA has a Twitter account to help the general public with their water and turf concerns, TGATurfandWater. Online Turf will of course be on hand to offer advice to any turf customers who want to reduce their water usage and still make sure that they have a great lawn.